This dry stone wall is all that remains of the Georgian Lodge, the home of John J. Drummond and his family. 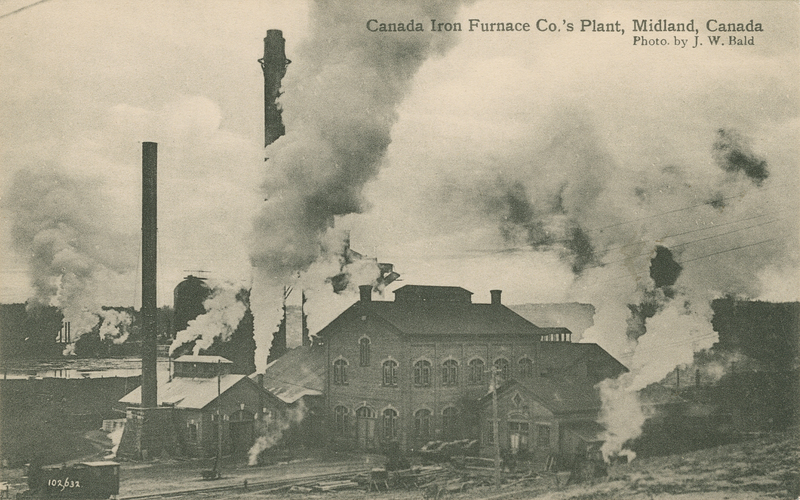 In 1900 Drummond opened the Canada Iron Furnace in Midland, which became one of the town’s largest employers. At its peak, the company employed about 350 men and its payroll was said to be the largest in Simcoe County. The family enjoyed its role as part of the social elite, and helped to shape the economic interests of the fledgling town at the beginning of the 20th-century. The wall not only acts as a reminder of the economic and social history of Midland, but is also an example of a simple and masterful craft that is seldom seen and preserved today. 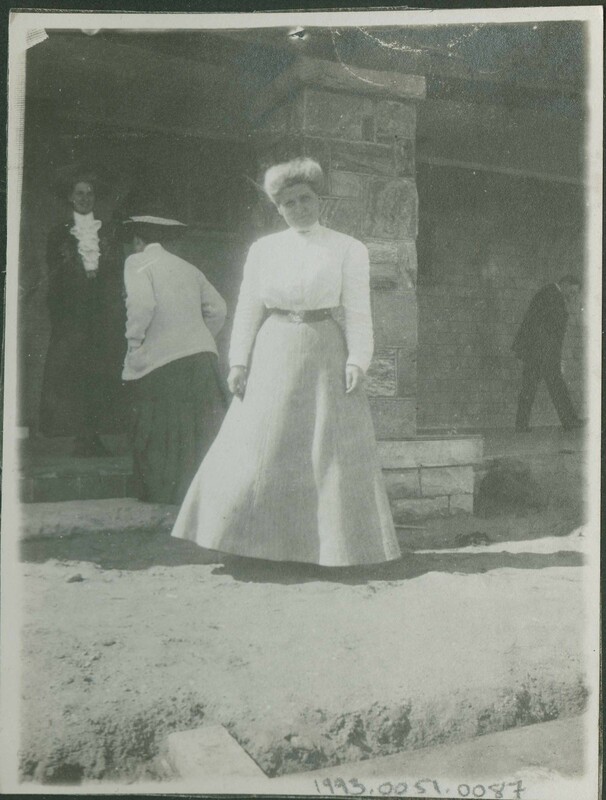 the Hostess of Georgian Lodge, Mrs. Drummond in front of the house during construction. 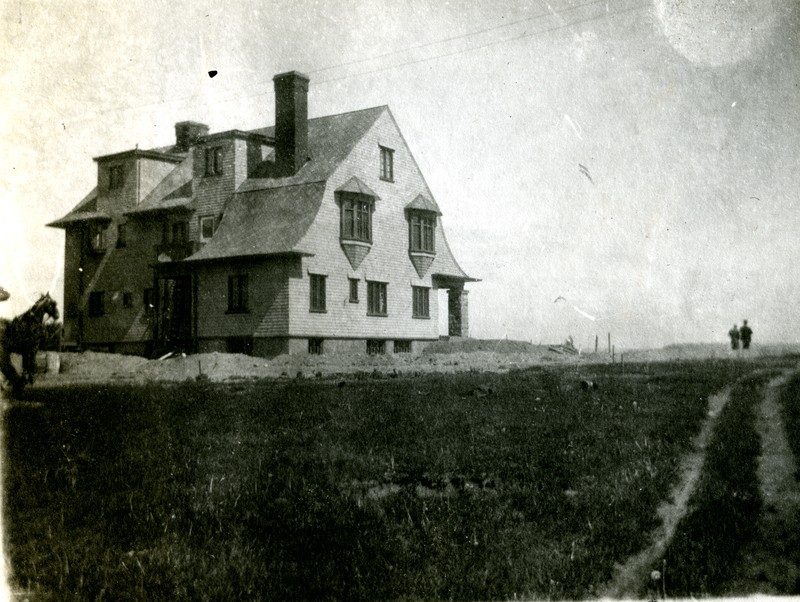 Georgian Lodge, The Drummond home C.1910. 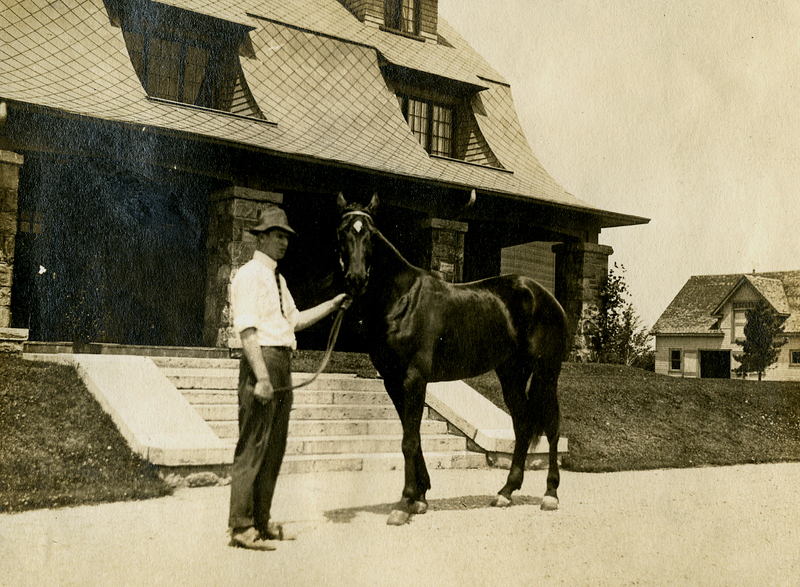 Groom holding one of the Drummond horses in front of Georgian Lodge. 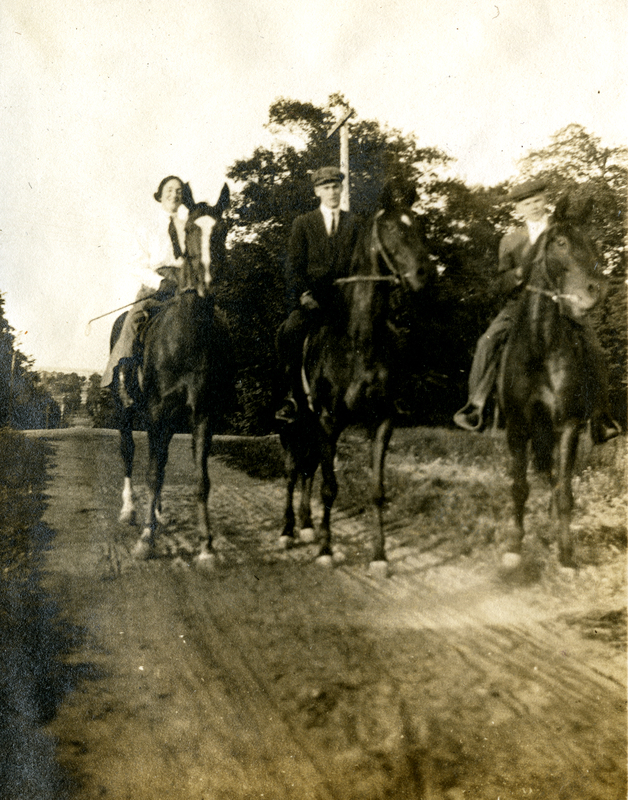 Riding at Georgian Lodge along the present day Fuller Avenue. C.1912. The Canadian Iron Furnace co. Plant. owned by the Drummond family. Photo by J.W. Bald. 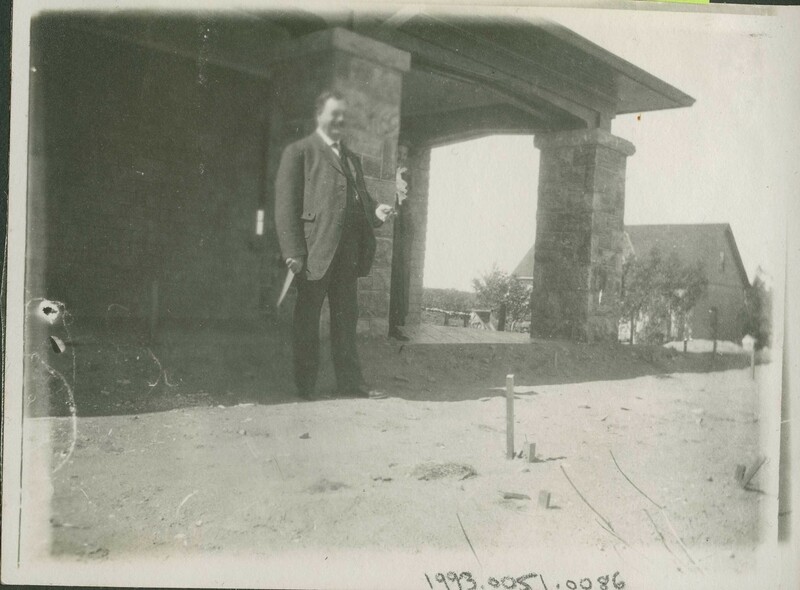 Mr. Drummond in front of Georgian Lodge. Always interesting to see how our ancestors lived and flourished in earlier times. My weekly base training run takes me by the wall. I’ve always wondered what it would have looked like beyond the wall in earlier times. The photos of the house will now provide me with a different perspective to the current overgrowth in future training runs. All these years I imaged the house to have a more gothic look to it. Pleasantly surprised! It was a really beautiful building.